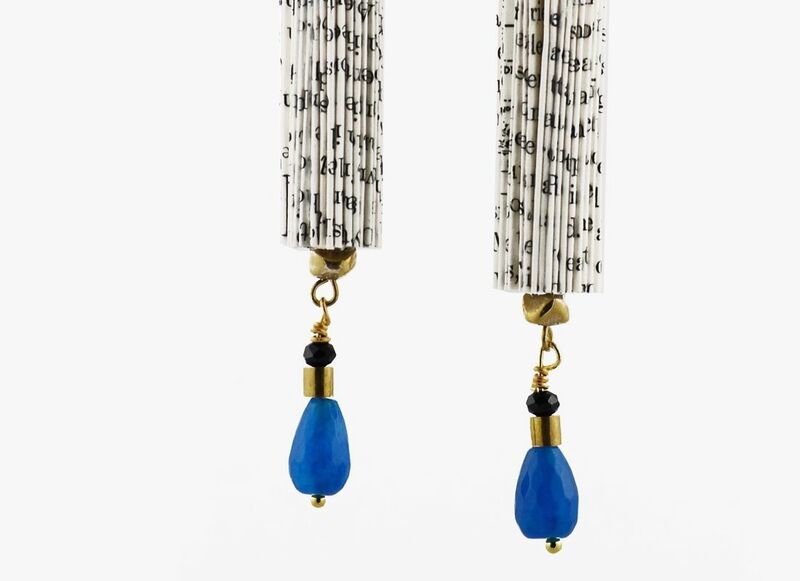 Hand made paper jewelry combined with gold galvanized zamak, blue glass, black color crystal beads and brass elements. All earrings are nickel free. 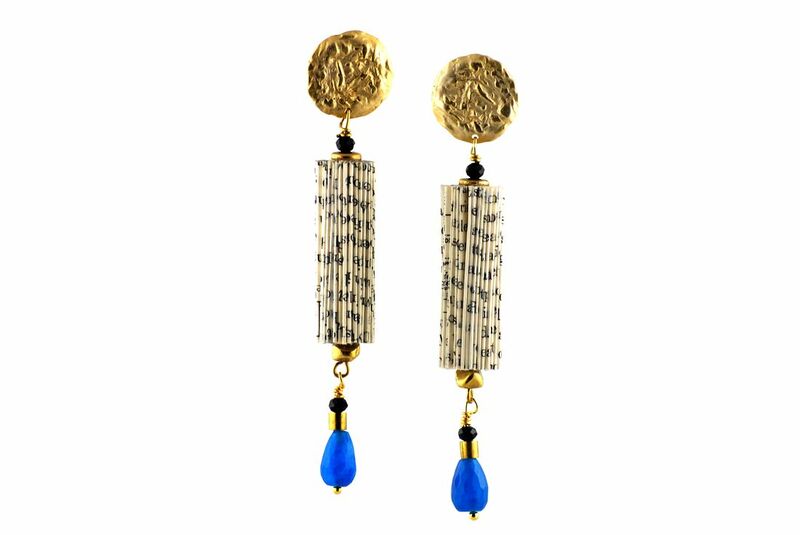 Hand folded paper; gold galvanized zamak (ear piece); glass; brass; crystal beads.